Today I’m sharing a recipe that I used at our Fourth of July get-together. I love making this drink for large family gatherings because it is super simple, easy to make and serves many. First, add your 3 bags of ice to your ice-chest. I like to use the smaller rounded ice you get from Braums or Sonic because it doesn’t melt as fast. Mix two cups of Lipton Instant Tea with one gallon of water in a bowl. When both are mixed together thoroughly, dump into ice-chest. Next, bring the other gallon of water to a boil and add it to the 7 cups of sugar. Mix well until all is dissolved and then add to the ice-chest. 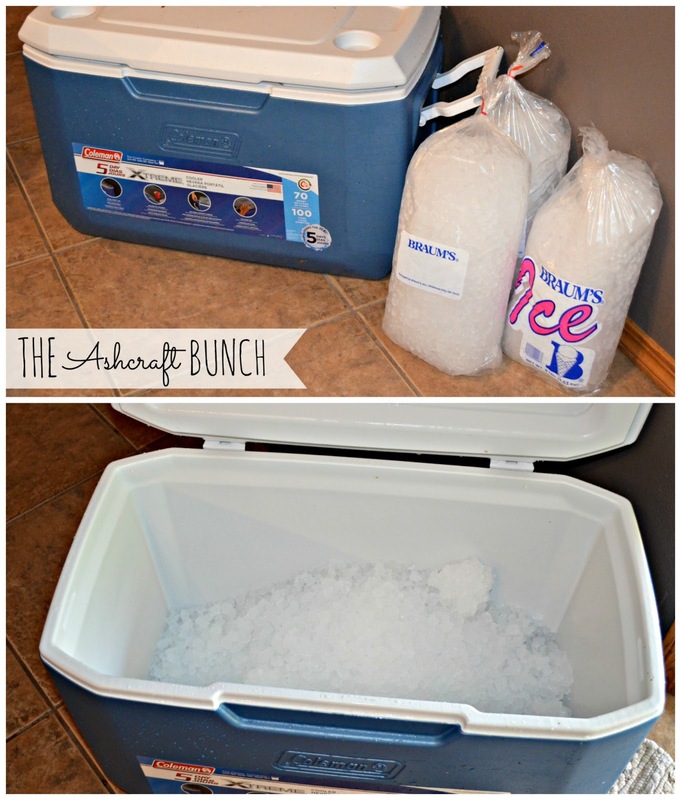 Add your frozen lemonade (mine wasn’t so frozen after making it home from the grocery store) directly into the ice chest. 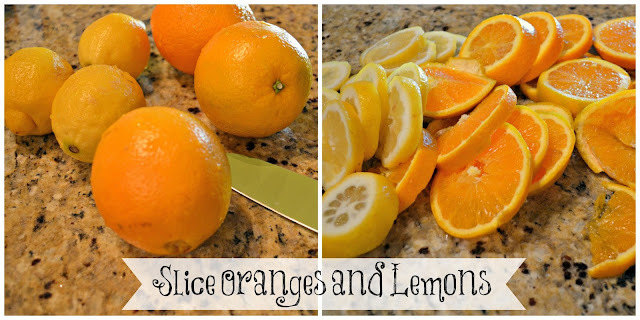 Slice oranges and lemons and add to the ice chest. Mix well and the tea is ready to serve! If you are not a big sweet fan then this won’t be your drink of choice but it is something easy to bring and is usually a hit! I love to change it up a bit and add something different to a family cookout.